It is a strategic plan, that is meant, from the one hand, to create a territorial continuity between Jerusalem and Givat Zeev, and from the other hand to create a barrier between the Palestinian communities south-west of Ramallah, and the heart of the potential Palestinian State in East Jerusalem and Ramallah. 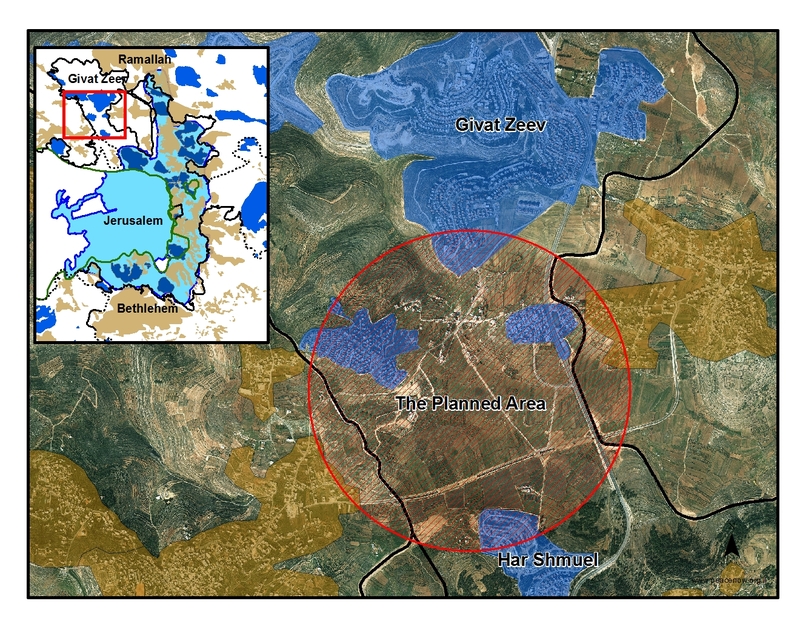 The construction in the “Settlement Blocs” is more of a threat to the two states solution than in the other settlements, because it creates facts on the ground that will be much harder for Israel to remove, and it limits the ability of the negotiators to find potential land-swaps that would be necessary for an agreement. Just bear this in mind when Netanyahu unveils his latest “peace plan:” actions on the ground speak much louder than his words. This entry was posted in Israel, Palestine, Peace, Peace Process, Politics on April 21, 2011 by Rabbi Brant Rosen. It’s been the Israeli tactic / strategy / defacto reality for 40+ years now to talk about all kinds of possible withdrawals, concessions, etc, while all the time expanding and more deeply entrenching Israeli control. What you describe, Brant, is exactly that — a continuation of every past government’s approach to appeasing critics while continuing to do exactly what they say their not doing.